The Big Ten needed Week 4 to help boost moral and confidence as conference play looms. And well, all of the teams responded except on as they went 12-1 – its best record of the season – with blowouts, road wins and an upset of a ranked team. For once, the Big Ten looked like an actual power conference. Lucky win? Who cares… it’s a victory for the Wildcats as they had 283 yards of offense, were out gained by nearly 100 yards at home, and have no passing game to speak of. 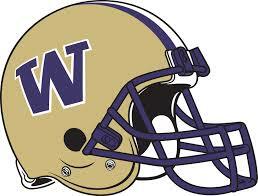 The only bright spots were Ifeadi Odenigbo (three forced fumbles and a fumble recovery), Justin Jackson (92 rushing yards, one TD) and Solomon Vault (two rushing TDs). Northwestern fans are mad at the playcalling and the effort. Give credit to Pat Fitzgerald, who said after the game, “[m]y size 12 is going where the sun don’t shine with this team for the rest of the year.” Should be an interesting week of practice. The Boilermakers jumped out to a 25-0 lead and never looked back. They did this mostly with takeaways and field position; their four touchdown drives on the day went 23, 44, 26 and 43 yards. Danny Anthrop had five catches for 106 yards and a touchdown, and the rushing defense excelled. Indy put in work and it paid off with a huge win over ranked Missouri. The Hoosiers led for much of the first half and third quarter, but they traded leads with Mizzou several times in the fourth quarter. Trailing 27-24 with two minutes left, Nate Sudfeld and Tevin Coleman engineered a 75-yard drive to win the game. Indiana’s defense held up surprisingly well against the Missouri spread. The Hoosiers beat a ranked team despite going 1 of 14 on third down conversions, suggesting that things are looking up for Indiana. Ameer Abdullah set a Nebraska record for most career all-purpose yards as the Cornhuskers outslugged Miami in front of a record crowd of 91,585 in Lincoln. Nebraska chose to run on the Hurricanes, to great effect. 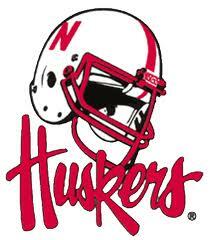 The Cornhuskers racked up 343 rushing yards, paced by Abdullah’s 229 yards and Tommy Armstrong Jr.’s 96 yards. The Spartans had 320 yards of offense in the first half, and they out gained the Eagles by 319. Thorough stand in the State of Michigan! The Badgers set a modern era Big Ten record for rushing yards (644), and Melvin Gordon is a shoe-in for offensive player of the week with 253 rushing yards and five TDs. Gordon is now averaging 8.26 yards per carry for his career, tied with Glenn Davis for the highest career average in history. The Hawkeyes knocked off Pitt on the road and upgraded their starting quarterback. Iowa had trouble stopping Pitt running back James Conner, and the Hawkeyes trailed 17-7 at the half. With the offense stalling, it appeared starting QB Jake Rudock was yanked in the third quarter for CJ Beathard, whose magnificent hair sparked the offense. Iowa got into a late groove, Mark Weisman scored two touchdown runs to take the lead, and the stingy Hawkeye defense held on to preserve the win. Syracuse outgained Maryland by 220 yards and demolished Maryland’s rushing defense, but Maryland had all kinds of luck against Syracuse. Will Likely had an 88-yard pick six, Brandon Ross turned a swing pass into a 90-yard touchdown, and timely turnovers helped the Terrapins beat the Orange in the Carrier Dome. A late touchdown by Syracuse made the score closer to reality, but it was still a comfortable win for the Terrapins. Rutgers overcame Navy’s triple option offense and a knee injury to Paul James to defeat the Midshipmen in Annapolis. They even had success pounding the ball with James, but he left the game after taking a helmet to the knee in the second quarter. Justin Goodwin and Desmon Peoples filled in with a combined 186 rushing yards, while Gary Nova had two short touchdown runs and didn’t screw up. Navy drove as far as the Rutgers 6-yard line in the final minute, but the Scarlet Knights’ defense held strong. While Rutgers won’t win the division, they’re playing like a potential bowl team. The Nittany Lions displayed an active running game for the first time, destroying Massachusetts to improve to 4-0. Bill Belton and Zach Zwinak each had a pair of rushing touchdowns, while Akeel Lynch added 81 yards. Even more impressive was the Penn State rushing defense, which held UMass to 28 yards (sack-adjusted) on 28 carries. As I stated above, the Big Ten lost only one game on the day. It came in a miserable, rain delay-lengthened slog of a game, Utah defeated Michigan at the Big House. The Wolverines offense just couldn’t – period. They only scored 3 points, a field-goal, a-l-l game… the other score came on a pick six by Willie Henry. Next week will feature more nonconference sleepers and a couple of conference games where teams better pay attention including Minnesota-Michigan; Maryland-Indiana and Michigan State-Wyoming. See you then….. The Big Ten went 8-5 in Week 2, and we learned some things in the process. Brace yourself; this won’t be pretty. Aside from Wisconsin-LSU, the rest of the Big Ten games were blowouts, narrow escapes against inferior teams, or upset losses. Week 2, I argued, would show what the Big Ten was capable of. Oh, did it ever. 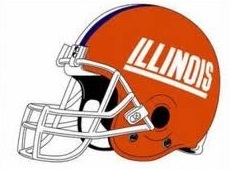 For the second straight week, the Fightin’ Illini came back to snag a victory. This week, it was against stingy Western Kentucky. WKU led 17-14 at the half, but then Wes Lunt carried the load, or should we say passed the load, by going for 456. Illinois scored three times to take a 42-27 lead in the fourth quarter and survive a last-minute score by the Hilltoppers. It’s not pretty, but Tim Beckman’s team is 2-0. WEST LAFAYETTE, IN. – a sloppy loss for the Boilermakers at home against the MAC. It was the (Cooper) Rush / (Thomas) Rawls show for the Chippewas (2-0). Rush tossed 2 TD passes, while Rawls ran for two. He finished the game with 31 carries for 155 yards, while Rush finished 11 of 16 for 172 yards with one interception. It wasn’t even close. Another spark for the visitors came from former Mount Carmel player, Brandon Greer, who returned a 57-yard interception back for the for the first score of the game. Then in about 2-mintues later, Anthony Rice broke a tackle and scored on a 65-yard catch-and-run (14-0). 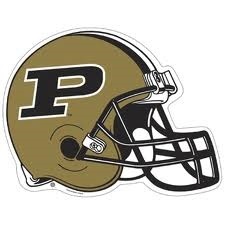 The Boilermakers got on the board when Danny Etling took the ball in from 4 yards out making the score 14-7. A few series later Rawls scored from two-yards out before halftime making it 21-7. Home team couldn’t get any closer than that. The Chippewas beat a Big Ten foe for the second time in three seasons and improved to 6-23 against teams currently in the conference. Purdue (1-1) failed to get its first 2-0 start since 2007 and still hasn’t opened a season with back-to-back wins over Football Bowl Subdivision opponents since 2005. The Scarlet Knights led 31-7 at the half. Despite the late scores and routinely porous defense, Rutgers was the most impressive of the noon teams. You can say Penn State played down to visiting Akron, as they only had a 7-0 lead at halftime, but the Nitanny Lions got their roar in the second half to get the W.
Ameer Abdullah came to the rescue for Nebraska in an incredible last-minute touchdown reception saving the Cornhuskers from total embarrassment against McNeese State. The Cornhuskers let McNeese State hang around far longer than they should have. Leading 14-7 in the second quarter, Tommy Armstrong Jr. threw a lazy out route that McNeese returned 98 yards for a tying score. Nebraska’s offensive line couldn’t give Abdullah holes, and McNeese tied it at 24 with four minutes remaining. With only 20 seconds remaining, Abdullah had a sensational tackle-breaking run after catch to spare Nebraska from ignominy. NOTE: In the absence of Braxton Miller, the “Abdullah for Big Ten MVP” bandwagon is looking pretty good. The game began in a weird fashion with a safety on Western Illinois’ opening kickoff return. The Badgers led 2-0 for most of the half, as neither Melvin Gordon (17 carries for 38 yards) nor Tanner McEvoy could produce. At least McEvoy recovered after halftime, completing 17 passes in a row and finishing with three touchdowns, but it was a shaky performance for Wisconsin. Wisconsin seemed a little out of sorts through the entire first half, but recovered in the second half to produce a deceptively perilous final score. Maryland was supposed to beat South Florida easily. Instead, the Terrapins had six giveaways and had to rely on a blocked punt in the fourth quarter to put away the Bulls. Once again Minnesota was out-gained by an opponent, and once again it won by double digits. Minnesota built a 28-0 lead and rode out a rough second half to beat Middle Tennessee. Unlike Iowa, Minnesota coaches know their strengths (David Cobb, their star running back, is a powerful workhorse) and weaknesses (Mitch Leidner can’t pass) and craft an optimal offense around those limitations. It’s going to get tiring calling the Golden Gophers opportunistic every week. In spite of Northwestern’s collapse against Cal in the season opener, the Wildcats were a 5 point favorite coming into this game. Go figure! Like last week, the Wildcats were down early to a 23-7 lead and just couldn’t come back. In short, Northwestern was trounced on the line of scrimmage by a MAC team, an awful sign for Big Ten play. The Ducks were trailing in the third quarter, 27-18, against Michigan State until Marcus Mariota flipped the ball to Royce Freeman (89 yards, 2 scores) and the flood gates opened up. From here, they went on to score the first of four unanswered touchdowns to knock out the Big Ten from a west coast victory. Mariota went 17/28 for 318 and three touchdowns. Michigan State was lead by 29/47 for 343 and 2 TDs / 2 INTs. 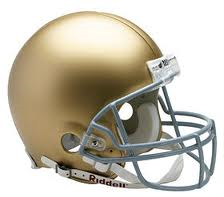 The Irish are for real. After seeing them week one against Rice, there game play was lowered saying who they played, but tonight, whew…. the Irish jumped out early and often knocking off what many thought was the hottest team in the Big Ten in a complete shutout. Everything went Notre Dame’s way. 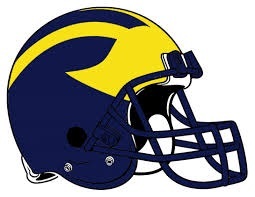 Wolverine’s Devin Gardner had four giveaways, including a pick six at the final whistle that didn’t count in the final score and resulted in him getting dinged up. Michigan running backs averaged 2.9 yards per carry. This game also marks the last game in the Michigan-Notre Dame series, and possibly the rivalry. NOTE: the Wolverines scoreless for the first time in 30 years. Michael Brewer passed for two touchdowns on Saturday night and Virginia Tech’s defense stood tough at the end as the Hokies stunned the eighth-ranked Buckeyes 35-21. ”I still have confidence that we have enough skill on this football team to get by people,” Meyer said. 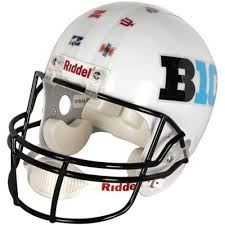 Stay tuned for next week when the Big Ten’s Week 2 winners try to restore a shred of the conference’s credibility. Iowa-Iowa State, Maryland-West Virginia, Minnesota-TCU, Illinois-Washington and the very first Big Ten game in Rutgers history ought to be worth watching.